The Nokia 808 PureView is well known for its 41MP camera which makes people forget that it is a smartphone first and foremost. The device has just received a firmware update from Nokia which, at 420MB (via PC), had those owning the phone hopeful that some thing good was inside. It's the same principle that makes you think that a better present is inside a larger box than a smaller one. The new software version is 113.010.1508 and so far, those who have downloaded the update have found....absolutely nothing new. Sure, it's a let down for those were hoping for new features. This is not to say that some improvements haven't been made that make the phone run faster or smoother. In case you've forgotten, the Nokia 808 PureView is powered by Symbian. If you own the Nokia 808 PureView and have updated your model, let us know if you have found anything new on your phone after installing the update. Simply type your comments in the box below. The phone for people that don't know they can get a good smartphone and camera instead of a good camera and a crappy phone. "...it does everything needed and more" Depending on needs and different people have different needs. Symbian does less than Android. Symbian may not have as many apps as android (and we all should know app count isn't everything, and a good system doesn't need to rely so heavily on apps), but it is technically more capable than android. There's still stuff a 2010-era Symbian can do that even devices like the Nexus4 and Note2 can't do. It might help if android weren't running on a virtual machine, so it could unlock all the power the OEMs put under it. If Symbian were put on one of those beasts it would be staggeringly great. I agree that Symbian may run faster than Android but even if Symbian was on the "super duper" hardware it still has less functionality than Android. Fact. I have posted a few points about android vs. Symbian, but I'm too bored to do it again. Bing (or google, or whatever) an unbiased source for android vs. Symbian. Symbian's biggest crutches were display resolution, screen size, and Nokia putting specs closer to minimums than maximum - not saying they're underpowered, just that they could easily have taken some stronger components and been stupendously good. Some OEM should buy out Symbian or revive Symbian UIQ, fix it properly and put it in a Google Nexus 4 (LG) or Samsung Galaxy Note II (GT-N7100) level hardware or better. "Best Camera ( better than all Droid Cameras)" Symbian doesn't have camera because it is software not hardware! No. 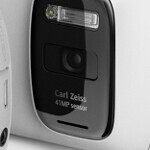 You still cannot have that 41MP sensor and PureView Pro technology. No FM Transmitter. No 3.5mm AV out. Poor battery life. Poor multitasking. Poor power management. Android is just a kid out of kindergarten. Try again after your Android beta testing in like 5 more years until Android catches up with Symbian. FYI : I like Android, but claiming that it is better than Symbian is just getting way ahead of exaggeration. Do you feel any difference between software and hardware?! And if you feel do you realize that I'm talking about software (Symbian) not hardware?! Android OS is not bad, but simply not as good as Symbian. It's less performance-optimized (because of VM), more battery hungry, fragmented, has security issues, even official store is full of trojan and other malware apps. Another problem of Android is, that they don't have OEM which is on par or better than Nokia, when it comes to HW. This is LINUX, what do you expect. Freedom. A full OS not halfbaked like Symbian. On the other hand, Android is just a halfbaked Linux. And btw, Maemo/MeeGo are actually Linux, yet they are better optimized than Android. The reason is that they doesn't use crappy VM interprated applications. Very true, what a crappy phone, even my N958.GB is much better than this huge ugly bulky phone. I bet, according to him, more buttons means it's more better... Troll, N95 is a phone of the yester-years...808 might look dumb and heavy, but N95 can't and will never be better than 808.